"Wild Rose" [UTA] "Wild Rose" was the first title numerous industry players called their most anticipated movie of the festival. It follows a young musician from Glasgow who wants to become a star in Nashville. Julie Walters and Jessie Buckley star in the Tom Harper-directed film. 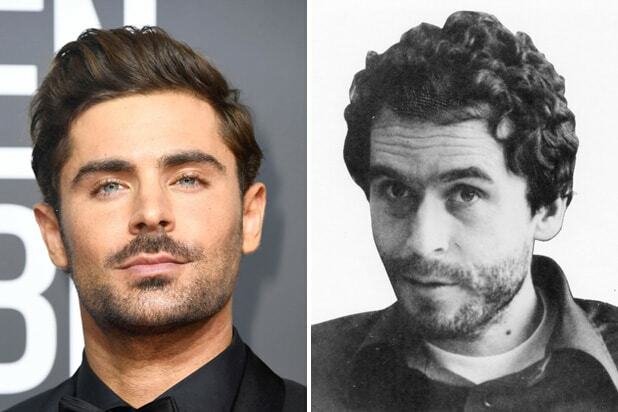 "Extremely Wicked, Shockingly Evil and Vile" [Voltage] Zac Efron stars as one of America's most notorious serial killers, Ted Bundy, alongside Lily Collins, Jim Parsons and Kaya Scodelario. While it's not screening in competition, one major buyer told TheWrap, producers are screening the film outside the festival for potential suitors. "High Life" [CAA] Robert Pattinson has been quietly living in a post-“Twilight” renaissance for a few years now, with breakout performances in “Good Time” and “The Lost City of Z.” Which makes a film like Claire Denis' “High Life” all the more curious given how under-the-radar it’s been. Prospective buyers are intrigued by the cast (led by Pattinson) and the story: A group of criminals sent to space under dubious circumstances. "The Wedding Guest" [Endeavor Content/UTA] Following his Oscar-nominated performance in "Lion," Dev Patel is back in "The Wedding Guest," which follows a man on a journey through India and Pakistan. Michael Winterbottom wrote and directed. "American Woman" [Endeavor Content] Sienna Miller plays a woman who raises her young grandson after her daughter goes missing. With Christina Hendricks and Aaron Paul also is the cast, "American Woman" is sure to attract buyers. "Her Smell" [Endeavor Content] Elisabeth Moss shines as Becky Something, a frontwoman for a '90s rock band, in a movie that also stars Amber Heard, Cara Delevingne, Virginia Madsen, Dan Stevens and Ashley Benson. Where are our "Handmaid's Tale" fans at? "Vox Lux" [Endeavor Content] In 2016, TheWrap exclusively reported that Brady Corbet's follow-up to his award-winning directorial debut, “The Childhood of a Leader," would be "Vox Lux." Described as “a 21st century story of Celeste, a pop star who comes to success as a result of unusual circumstances," the film stars Natalie Portman, Jude Law, Willem Dafoe and Jennifer Ehle. It already premiered at the Venice Film Festival to stellar reviews -- currently, it is rated 100 percent on Rotten Tomatoes. "The Weekend" [UTA] "Everything Everything" director Stella Meghie returns to TIFF with this blissful rom-com that stars "SNL" alum Sasheer Zamata. It follows a comedian who gets romantically entangled with three other people during a weekend getaway. "A Million Little Pieces" [CAA] In Sam Taylor-Johnson's first movie since "Fifty Shades of Grey," her husband Aaron Johnson stars alongside Charlie Hunnam and Billy Bob Thornton in an adaptation of James Frey's book that was originally marketed as a "memoir" of addiction but turned out to be heavily fictionalized. "The Death & Life of John F. Donovan" [CAA] This film is the long-awaited English-language debut by international film festival l'enfant terrible Xavier Dolan, as well as an anticipated leading man debut by "Game of Thrones" star Kit Harington. The A-list cast also includes Natalie Portman, Susan Sarandon, Kathy Bates, Thandie Newton, Jacob Tremblay and Ben Schnetzer. "Jeremiah Terminator LeRoy" [CAA] If you think Kristen Stewart and Laura Dern isn't the dream casting of the century, what actually is wrong with you? Justin Kelly directs the film based on the true story of a middle-aged woman who wrote novels under the guise of a teenage boy named JT LeRoy -- while her sister-in-law (Stewart) made public appearances as the author. "American Dharma" [Endeavor Content] "Fog of War" and "Gates of Heaven" director Errol Morris is back with "American Dharma," which is a documentary portraying controversial Breitbart editor and former Donald Trump adviser Steve Bannon.